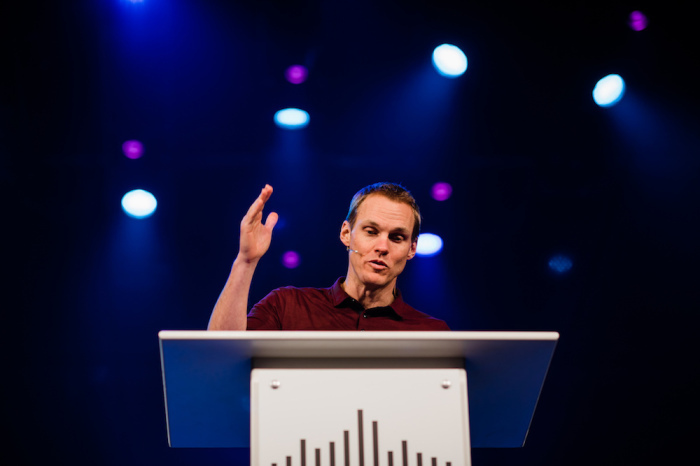 In a “world of evil” that “devalues children,” obedience to the Great Commission will lead Christians to "treasure the sanctity of human life” and refuse to stay silent in the face of abortion, Pastor David Platt said ahead of the March for Life. Platt, teaching pastor at McLean Bible Church in Vienna, Virginia, told those gathered at the Evangelicals for Life event Wednesday night that the Great Commission in Matthew 28:18-20 — “Go, therefore, and make disciples of all nations” — directly relates to the sanctity of life. "For into a world that devalues children," Jesus gave the commission for Christians to make disciples, baptizing and teaching them, Platt said. "The Great Commission was clearly and definitively not a call to sit back and stay silent in a world of evil." Jesus, the pastor said, commanded His followers "to run to need, not away from it; to engage a world in need, not to turn a deaf ear to it.” And when one has a proper view of the Great Commission, they automatically start to value life. "The first and most fundamental way we can work for the unborn is through the proclamation of the Gospel to see hearts changed to want what God wants," Platt said. "The power of the Gospel message in and of itself possesses a dynamic charge that detonates the heart's desire for abortion." Through baptism, "God has uniquely designed and equipped the church to care for children and their mothers,” he added. But the sanctity of life doesn’t begin and end with the unborn, Platt contended, adding that the Great Commission compels Christians to "decry all forms of oppression, exploitation” and see “the least of these” — immigrants, refugees, and slaves — as created in God’s image. Evangelicals for Life, held at McLean Bible Church, is a three-day conference sponsored by the Southern Baptist Ethics & Religious Liberty Commission and The North American Mission Board. The ERLC and Focus on the Family launched EFL three years ago to help motivate Christians to participate in the March for Life, held every year on the anniversary of Roe v. Wade in Washington, D.C. In addition to Platt, event speakers include Russell Moore, J.D. Grear, Kristen K. Waggoner, and more, with music from Steven Curtis Chapman and Keith and Kristyn Getty.